Select Choose Size and Finish Silver 4.5" Silver 5.5" Polished 4.5" Polished 5.5"
Stock VW Aluminum Wheels. Available in 15" x 4.5" or 5.5" These 5 on 205mm Wide 5 VW Wheels are lighter than stock steel and helps your car to handle by lightening your rotating assemblies by nearly 10lbs. Comes with Stainless Hub Cap Hardware. 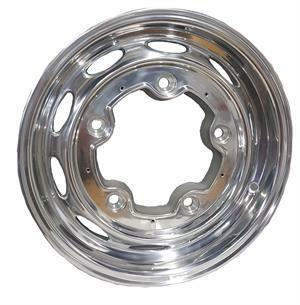 These wheels are available Polished or Powder Coated Silver. Click more info to choose the ones you want.